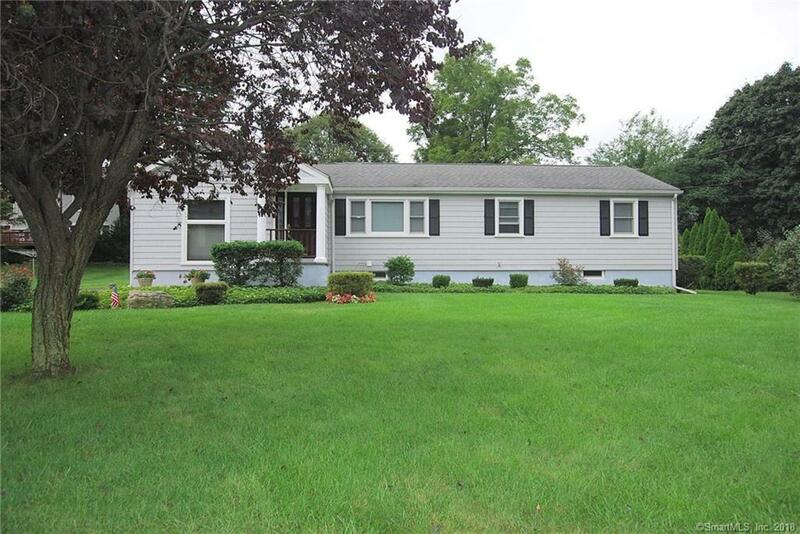 Conveniently located expanded West Norwalk ranch in quiet neighborhood. Set on level 1/3rd acre lot, relax on the private patio or rear deck. The home has been redesigned to focus on a new oversized country styled eat in kitchen with large dining area. An abundance of cabinetry, with granite counters and tiled flooring, youâll love the size and layout. The formal living room features hardwood flooring and a wood burning fireplace. A sunken formal dining room and den replace the original garage providing for more useful living space. The master bedroom features its own full bathroom while the two guest bedrooms share a hall bath. Full basement can be finished. Plenty of parking is available with an oversized two car garage. Recent improvements include new siding and new roof. The perfect downsizer or starter home in a great location.